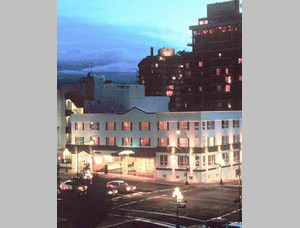 Welcome to the Quality Inn Downtown (formerly named the Green Gables Inn), "The Great Little Hotel in the Heart of Victoria", located in beautiful downtown Victoria, B.C., Canada! Our charming boutique-style three diamond hotel is just steps from Victoria's attractions, recreation, restaurants, central business district & more. Whether you are coming to Victoria to shop, whale watch, stroll through Butchart Gardens or simply to relax on a spectacular west coast getaway, stay at the Quality Inn Downtown and walk to all Victoria has to offer! We pride ourselves on offering a level of quality in amenities and services you would expect from a first class hotel. From the beautiful crown mouldings to the elegant duvets, as you step into our rooms you'll know you've arrived somewhere special! Please visit Quality Inn Downtown Inner Harbour Website.